The Female Entrepreneur Association is an online hub with the mission of inspiring and empowering women from around the world to turn their ideas into a reality, build wildly successful businesses. We believe that every single one of us has the ability to achieve incredible things and life is too short to waste the opportunity to make it happen. However, sometimes the entrepreneurial journey can be challenging. You’re on top of the world, determined to make your dreams come true one day and the next you feel totally lost and confused about what you’re doing? You’re excited about your ideas and then you talk to someone who doesn’t think you’ll be able to do it and you feel like it’s all hopeless? You’ve got a million ideas and you’re not sure which one is going to work out the best, and so you go round and round in circles? You feel like you’re stuck, you’re fed up and just want to break free and do whatever it is you’re supposed to be doing in life? You started your business to have more freedom and a life you loved, but you feel more overwhelmed than you ever felt before and you’re not sure how much longer you can carry on for? 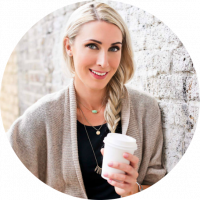 You feel isolated and lonely because you don’t know any other like-minded people to talk to about what you’re going through building your business? If so, you’re human! I think most of us feel like this at some point or another. I think we all feel like this at some point. We have to just stay focused on what we’re trying to achieve, learn as much as we can, get inspired, build a network of support around ourselves, keep going and keep the faith. Weekly videos: a 10 minute dose of inspiration to help you succeed in business. Our videos cover a wide range of topics, from how to programme your mind for success, to how to systemise your business. View the latest video’s and posts here. The book: She Means Business: Turn Your Ideas into Reality & Build a Wildly Successful Business, by Carrie Green. This international bestseller is the perfect read for anyone looking for inspiration and a blueprint for building a successful business. Buy a copy here. 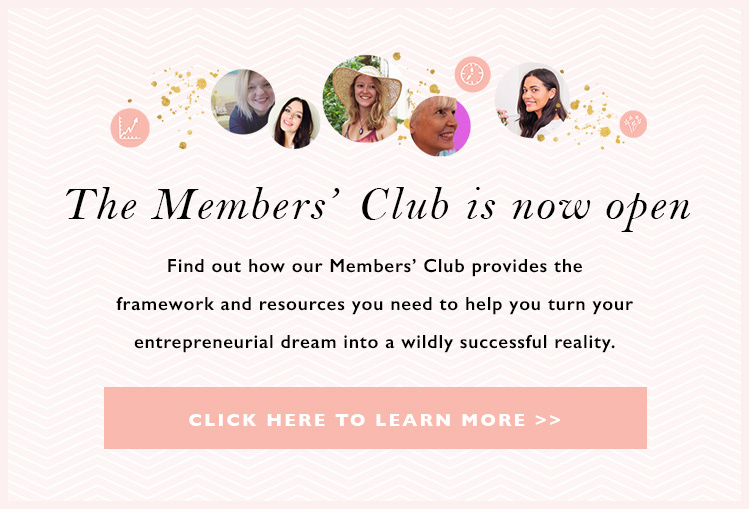 The Members’ Club: an online community where you can mingle with like-minded women from around the world and get the support you need to succeed. Find out more here. Facebook page: our Facebook page is where you can get shots of inspiration throughout the day. With over 650,000 fans, it’s a buzzing hive of activity and inspiration. Visit the page here. How She Did It: we’ve published hundreds of inspiring stories about female entrepreneurs from around the world. Have a read here and get inspired. The winter that had just passed seemed more gloomy than normal; everything seemed greyer and more miserable! There was one reason for this – I wasn’t happy, in fact I was totally miserable. I had reached the end of my tether with everything and I felt hopeless. I often wonder how I let it get that far, but I guess these things happen. I was going into my second year of studying Law at university. During my first year I spent more money that I actually had… like most students! Not only had I reached my overdraft limit, I had spent the whole of my student loan for that year too (on clothes I might add!). So when an opportunity came about to start a business I was more than interested. The business was mobile phone unlocking – at the time I didn’t even know what mobile unlocking was! I had no real clue about business either, but I had nothing to lose, so I came up with a name and got started. I decided to call it “Easy Mobile Unlock”. I bought the domain and put a terrible website together myself and set up a Google Adwords account. You may be wondering how I did all that with zero knowledge of the internet… I asked as many people as I could, who were far more clued up than I was. It worked, because I managed to fumble my way through. I started with a £30 daily spending limit on my Adwords account and I tested different adverts and played around with my website (a lot). It wasn’t long before I really got in the swing of things – all of a sudden I’d gone from clueless to clued up. All of it was down to learning as much as I could and then applying what I’d learnt. I remember sometimes it would literally hurt my head to comprehend something for the first time – you know that feeling when you just haven’t got a clue what you’re doing? As the months of my second year at university passed by, my business was becoming more and more profitable. It was a bit of a challenge trying to study and develop my business and keep on top of customer support – although I do believe that the busier you are the more you get done. Second year drew to a close and boy was I in a different financial position to what I had been the year before! It was exciting and I really got the bug for learning. I received a letter one day from a massive law firm telling me that I was “passing off” as Easy Group and that I had to give them my domain name immediately and stop trading as Easy Mobile Unlock. I couldn’t believe it! Had they not looked at my website?? It was awful and there was no way in a million years that people would accidentally think that it was anything to do with Easy Group! I thought it was laughable, unfortunately other businesses with the same problem didn’t. Companies with the prefix “easy” were being dissolved left, right and centre. I was horrified. So, I headed to a bookshop and bought a massive book on intellectual property rights. It was the only book I could find which had any information on passing off in it! After a little bit of research I was convinced that I was not passing off, so I learnt how to send a legal letter and gave them a professional piece of my mind! After several letters and a few phone calls I was delighted when they dropped it. It felt good to be a second year law student who had defended herself against one of the largest law firms. I decided to go to night school to learn more about web development. I had realised how powerful the internet was and I wanted to know more. I also wanted to get a good degree, so I recorded all my lectures on a Dictaphone and typed them up (which took me hours), so when I came to revise I would have good notes. Third year went by quickly and I graduated with a great law degree and a business which was doing really well. It felt good. 3. I could try and do both?! So, I applied for the LPC and carried on building the business. By this point I’d brought on board a business partner to help me grow it. We got a new supplier in America, so we could unlock practically every single phone in lots of countries. Then we focused on marketing. We went all out on our SEO, so that we would be number one on the organic search. We outsources the Adwords management to a company that were experts at it and we developed the website. It was around this time that social media was taking off, so I put a blog together, set up a YouTube account, a Twitter account, a Facebook Fanpage and got friendly with customers. We also developed an affiliate programme, corporate bulk unlocking and a referral strategy. We were receiving 100,000 hits to the site every month and we were selling thousands of codes every month… support was a challenge. So, I had a look on Elance.com and posted a job for someone to look after our customer support. I interviewed lots of different companies and then we settled on one. We built an entire support system, so we could keep our customers happy. The key for us was to systemise everything, so it ran like clockwork. That way the business could run without my business partner and myself. Making money whilst you sleep, party and holiday is fun… but what happens when you’re not doing any of those things? This is when the problems started. I was 23, I had a successful business that ran itself, so I had all the time in the world to do whatever I wanted… which was?? I had no idea. All my friends had jobs, I rarely met new people, because I worked from home… so I became really lonely and bored. I would constantly ask myself, “what do you want to do?”, “what do you like doing”. One day I decided to volunteer at an animal rescue sanctuary! Let me tell you now… it’s not the best place to meet new people!! So, after that I decided to become a business mentor with the Prince’s Trust, which I loved, but it wasn’t a great way of meeting people either. In February of 2010 I decided I needed to do something drastic, so I went to meet my friend in Australia. 3 months of meeting new people, having a good time and not worrying about what I was going to do. It was brilliant… and then I had to come home. It almost felt worse, because I had hoped so much that I’d have an epiphany whilst in Australia. I didn’t. Months passed by and I felt so lost. I felt so defeated and confused. I decided that the best thing for me would be to get a job. New Year arrived and things looked gloomy. I felt overwhelmed with negative emotions – I was really dragging myself down and I didn’t know how to stop it. I had to take control of the situation and stop being miserable. I read a quote by Anthony Robbins, he said, “your destiny is determined by the choices you make. Choose now. Choose well.” I realised I had to change my attitude; I had to programme myself for success. So that’s exactly what I did. Is when I decided that I was going to start a project to find like-minded women who had been or were in a similar situation to me. I thought that it’d help inspire me and it would be fun. So, I put a website together and started searching online for women who I could publish stories on and that is how the Female Entrepreneur Association began. The Female Entrepreneur Association has not only inspired me, but it’s inspired other people too and that makes me smile. 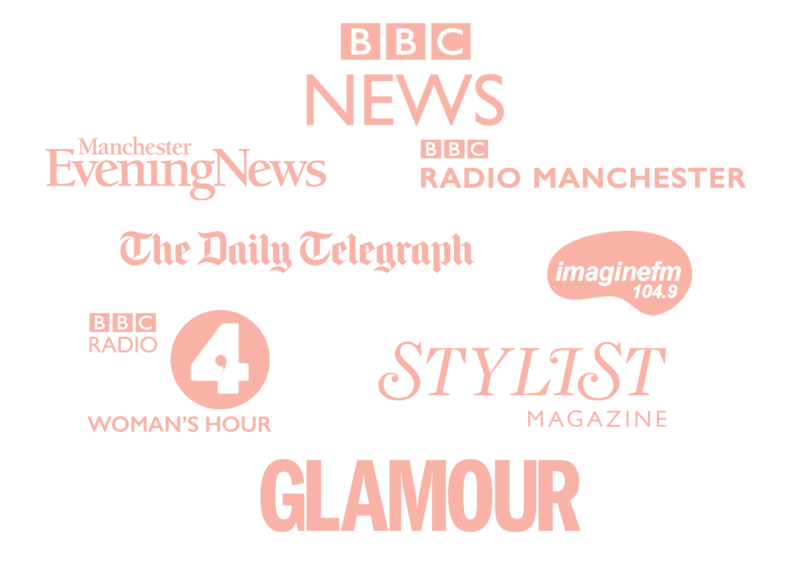 There are over 650,000 women involved from around the world and we have the private members group The Members’ Club which is an incredible network of over 5000 female entrepreneurs. I hope everything that my team and I have created can help comfort the people that are feeling confused or miserable, because everyone has times like that – it’s just that not many people like to talk about it. However, the stories I’ve published on here are honest and frank and tell the journeys of the good times and the bad times of different people. Everyone has a story to tell that will inspire others, so I want to create a platform for people to be able to do just that. We have all faced challenges and overcome them; we have all done some great things and probably some not so great things too. Let’s share our experiences and help to inspire each other.